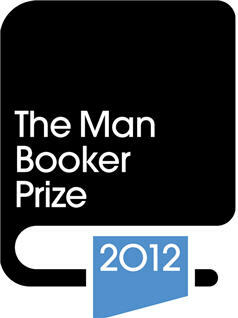 On Tuesday 16th October, the winner of the Man Booker Prize will be announced. The shortlist is an exciting one, and has not been without controversy. The Chair of the judging panel, Peter Stothard, has upset some book-bloggers by suggesting that criticism is best left to the critics; and it’s clear that this year’s shortlist is a change from last year’s more populist list – this year’s judges have made it clear they prioritise literary strengths such as the innovative use of language and the power of prose over mere plot. In some ways I agree with this, although it’s impossible, of course, to separate brilliant plotting from outstanding writing, and the two often go hand in hand. Still, I love that, for a few weeks, bitching about books is in the headlines; you can bet on your favourite, the authors appear on the radio and in magazines, there is controversy and debate, you can watch videos in which people root for a particular book (see here) and, well, books are hot for a while. I wish it was like this all the time, because, whether you’re a professional critic or someone who just likes to read, books are important, and the fuss around the Booker Prize shows us just how much people care. I’m pleased to say that I have managed to read and review all six shortlisted books: Narcopolis; Swimming Home; Bring up the Bodies; Umbrella; The Lighthouse and The Garden of Evening Mists. They all have their strengths, though it’s not quite the shortlist I would have preferred, but I’m glad to have taken the time to read them all and consider their merits; I’ve learned a lot from the experience that I would otherwise have missed, and it makes the wait until the announcement of the winner much more exciting. I’ve taken something different from all of them, and they are all the kind of books which stay in your mind and benefit from slow reflection. My favourites are Bring up the Bodies and Umbrella, I think, which is annoying as those are the bookies’ favourites and I would rather have gone for something different. But in narrative style, amazing, transportative prose, novelistic structure and breadth of subject matter, those are the top two for me. Although I probably enjoyed Mantel’s book slightly more, if I had to pick my favourite to win, it would be Umbrella, because I was blown away by the prose, the casual allusiveness, the relationship of style and theme. It’s certainly the most literary of the six, though probably the least accessible. I await the announcement with bated breath – who’s your money on?